These two PVD methods both deposit metals onto a substrate, but the question is, do they both perform the same? Physical vapor deposition has become an important process in the deposition of materials onto a substrate. Utilizing vacuum techniques, thin metals are deposited onto the substrate through a variety of methods. There are numerous techniques that utilize physical vapor deposition such as PVD thermal evaporation, which is a commonly used technique. PVD thermal evaporation utilizes heat to form a coating over a substrate. A thin sheet of metal is heated until it has reached its vaporization point. Upon it being melted, it then covers the wafer to form the film. However, because this method involves evaporated materials, physics play a role in directing the evaporated metal towards the heat source. This can then create a lack of coverage on the substrate itself. Sputtering solved thermal evaporation’s poor coverage areas. By deploying thin film metals via “injection” the metals need not worry about the atoms directing themselves in a set direction. Essentially, the atoms of the metal are “knocked-off” the base and onto the wafer. Sputtering has become one of the most widely used techniques in PVD nowadays and is now the preferred method over thermal thin film evaporation. By separating these two techniques from each other, once can see the progression of how technology has advanced to where accurate measurements and methods are continuously being stressed. 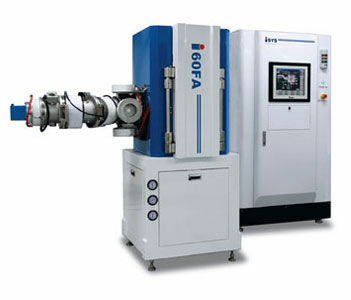 While there are pros and cons of each technique, sputtering has been the more oft-preferred method when applying thin films on a substrate. There is a higher coverage area, a wider choice of materials that can be used, and a fast deposition rate.